We're now halfway through the 2014 Fire in the Triad series. Don't miss a crumb of nightly recaps! Sign up with Nik Snacks email newsletter and receive each post as soon as it's published. Get the inside scoop and fun information before anyone else on the 'net! 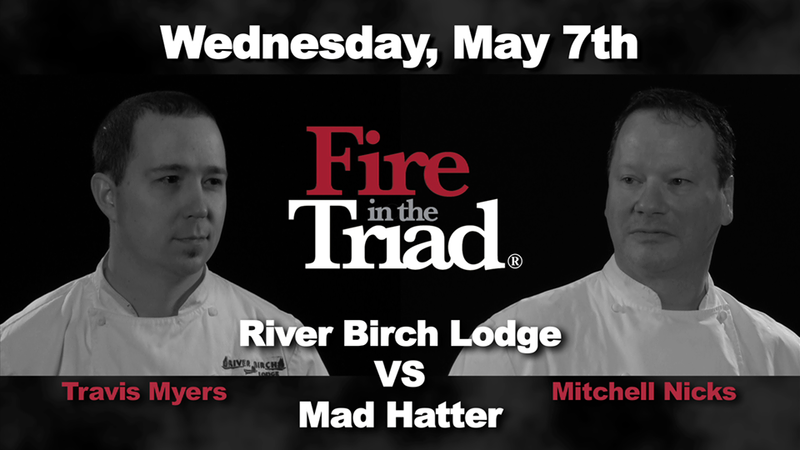 Travis Myers' of River Birch Lodge in Winston-Salem has graced Fire in the Triad with his culinary presence for the second time in 2014. He says, "My competitive advantage is I think outside the box and will bring complexity with high volume precision to each menu item." Chef Myers is also the most social media savvy chef The Got To Be NC Competition Dining Series has ever seen. Follow him @chef_myers on Twitter. Mitchell Nicks of Mad Hatter in Greensboro is also at the helm of the kitchen of Steak Street in High Point. This news was brought to my attention just recently. I'm sure it's not news to fans and diners of both restaurants, as I always hear great things about both locales. Wednesday night was Nicks' 1st Fire in the Triad appearance. This last preliminary battle determined the last slot before the quarterfinals begin May 12 in the Empire Room at the Elm Street Center in Downtown Greensboro. The crowd was stacked heavy with River Birch Lodge fans (or maybe they were just a little louder?) and I was one of them. And if not, do you plan to eat today? If the answer to either of those questions is YES, I have a proposition for you. Many seniors in our community are not able to do what you and I can. Please consider donating to the Fire in the Triad's charity partner, Senior Resources of Guilford Mobile Meals. For every comment this post receives, I'll personally donate $1 to this charity (one comment per email address/offer ends June 2, 2014). Eggs had to be used in all 3 courses from each chef and Texas Pete had to be use in 2 out of 3 courses from each chef. ME: Do you want to know how many eggs the chefs were able to use? 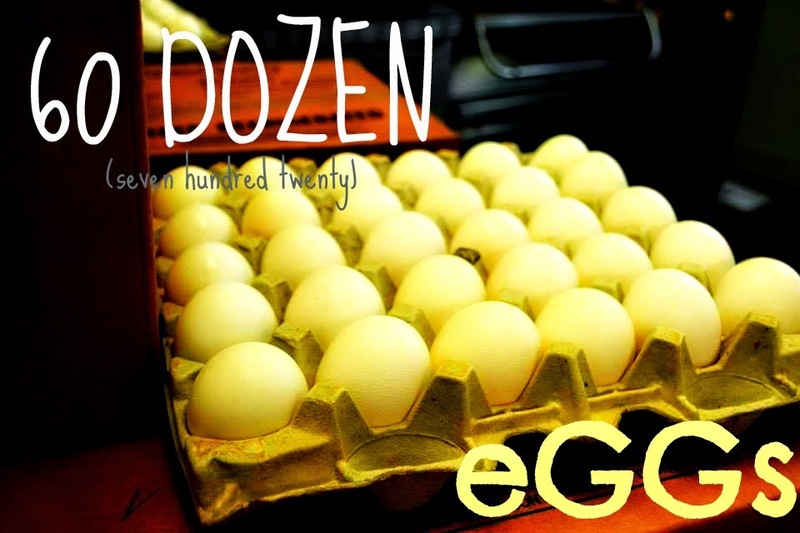 YOU: How many eggs, Nikki? And we ate a whole lotta eggs (and Texas Pete) too! The first thing I ever cooked for anyone outside of my family was egg drop soup. I was in 6th grade. I made and egg drop-avegolemono soup for a project on Greece and shared it with my class. It was pretty good. Not as good as this soup, but it was pretty delish. The soup was thick with ribbons of egg cooked throughout a broth, heavy with lemongrass flavor. In the center of the bowl, I had two dim sum (or dumpling) packets that were suposed to be filled with bacon, but I didn't get any of that flavor from them. 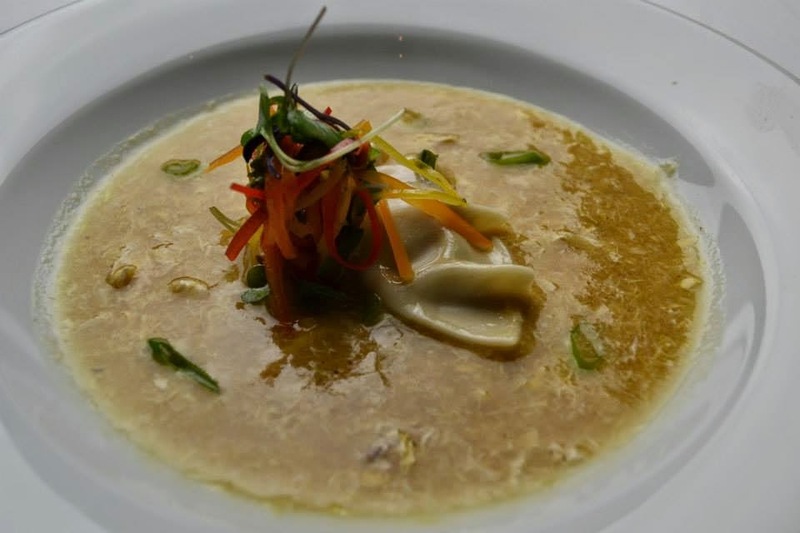 The microgreen and root vegetable salad was a nice oasis of flavor: the star anise flavor of the vegetables matched well with the broth, had a nice crunch, and stepped up the sophistication level of this course higher than my 6th grade egg drop soup could ever imagine to be. 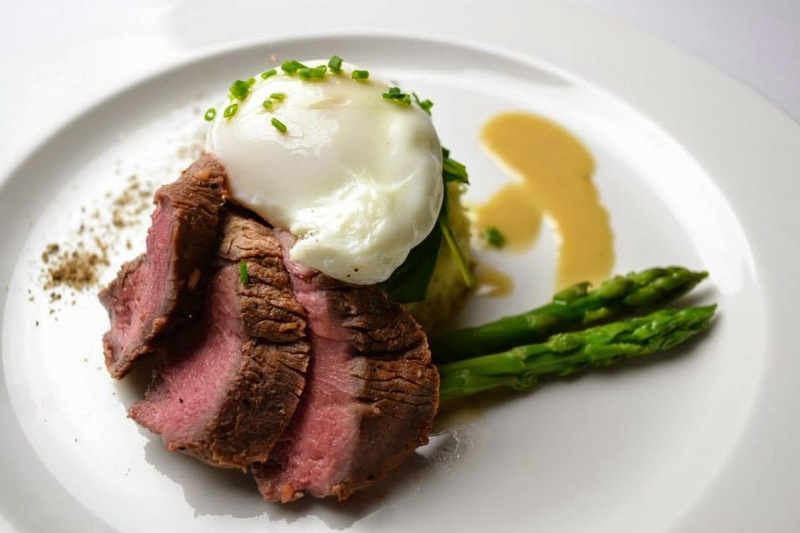 At first, most of my friends at my table were worried there was no egg in this course because it was not listed in the course description (uh oh! point deduction!) After inquiring, we were told that there was raw egg yolk in the crab salad. Whew. Crisis averted. Somewhat. While this course was beautiful and the plating sophisticated and tight, the star was not the egg. The star was not the Texas Pete. The star of this dish was the bacon jam. Ohhhh, the bacon jam. It was savory, it was sweet, it made my heart melt. 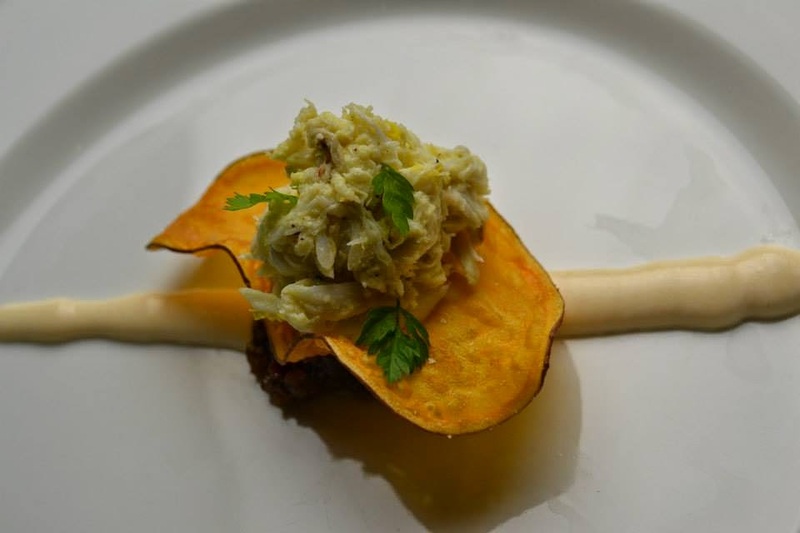 The crispy sweet potato chip was very well-executed and the crab salad tasted like, well, crab salad. The stream of whipped goat cheese was too miniscule on the plate to make a difference because the bacon jam overpowered everything else. And the Texas Pete addition only was a whisper and didn't hit us with a bang, like I thought it should. I've said it before and I'll say it again: there's nothing like munching on little quail legs and little quail wings. They're always mighty tasty. This quail, however, was hard to eat. Too much work. Too many bones. 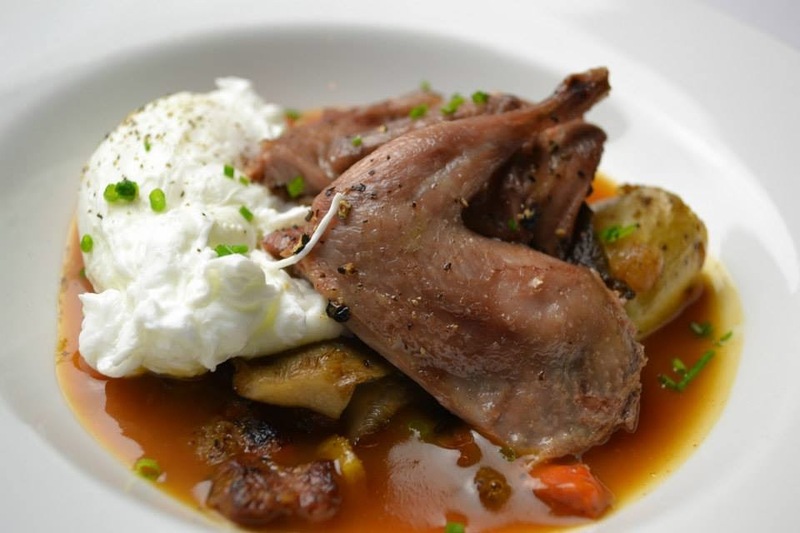 It was difficult to get all of the meat from the quail's little body. But everyone could see and taste the egg this time! The poached egg was lightly seasoned with salt and pepper so it didn't look like an ominous orb in the bowl and everything was sitting in this viscous, shiny, spicy Texas Pete demi glace. It reminded me of a lighter version of the Ethiopian dish, doro wat [DOOR-oh watt]. Doro wat is a heavily spiced stew that is usually served with a hard boiled egg. This course was just a North Carolina version. Exactly. He was not present in this dish. I was tasting for spice, for vinegar, for some semblance of Winston-Salem's favorite hot sauce, and there was none. There was, however, an unlisted bed of wilted arugula on top of the spoon bread that cradled the poached egg. The spoon bread was like a griddled corn cake with a soft inside. The mushroom nage was nice and smooth and soaked into the spoon bread. I forgot about the porcini dust, as it was hiding behind that great disk of spoon bread, but as a last bite, I used my asparagus stalk as a stick and picked up each granule. And each granule was GOOD. The most beautiful dish of the night, this one was the most complex in terms of technique, skill and finesse, I scored this dish very high, with 38/40 points. The only downer: I got no scent, hide or hare of a taste of Texas Pete. 70% of my table did not taste the Texas Pete in the chocolate mousse. The meringue was a perfect disk, The florentine cookie garnish was orange-scented and the perfect topping to this gorgeous dish. 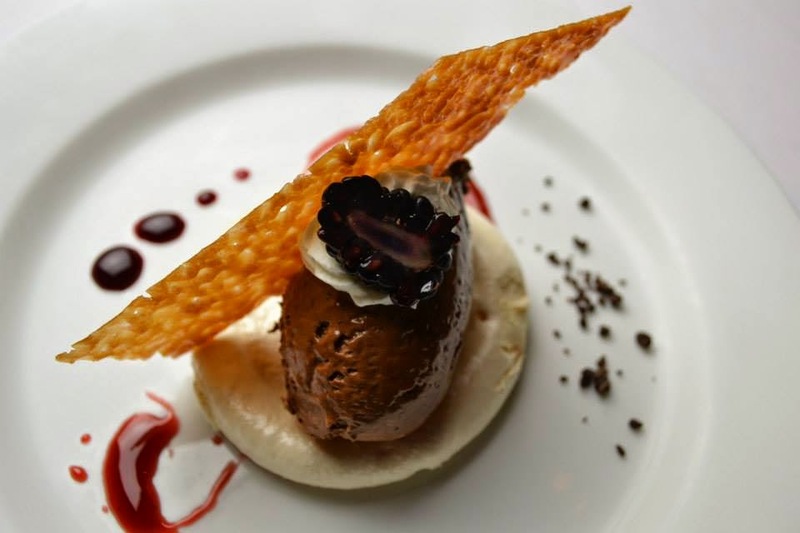 Highest-scoring dish of the night--HELL, highest-scoring dish of the preliminary battles with a whopping 32.35/40 points, River Birch Lodge delivered a gold medal on a platter. Literally. I think this was the most creative, successful thing I've ever seen at Fire in the Triad! The carrot cake was moist and I believe it was made with whole wheat flour, it had a nutty, bran-like quality too it. The cutest part had to be the brûléed bits of carrot on top of a slightly sweetened cream cheese icing and it was garnished with parsley to mimic a carrot top! The buttermilk ice cream was perfect in every way. 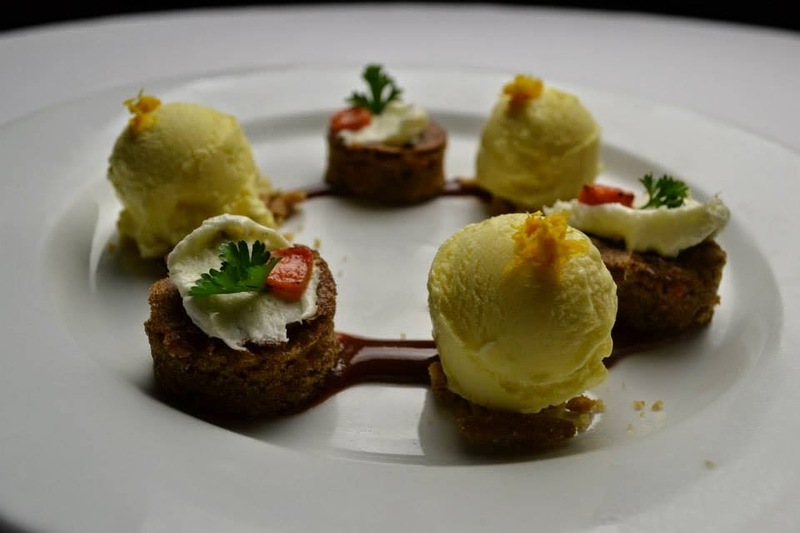 It was very well-executed sweet, smooth, creamy and still solid when it came to the table! The sugar cookie crumble bits added additional texture, sweetness and brought everything on the plate together. The coulis simply added decoration to the plate, tying it all together with a nice bow, but it was a tasty bow. Each course matched up, taste for taste. It came down to best use of the secret ingredients, plating and creativity. In the end, it was Chef Myers and his team from River Birch Lodge that edged out Chef Mitchell Nicks and his team from Mad Hatter. Congratulations, River Birch Lodge! You are still in the running for America's Next Top Model Fire in the Triad Champion. See you on May 20 against Richard Miller and his team from Graze in Winston-Salem. What an outstandingly generous person you are - of course I want Senior Resources to get as many donations as possible!! Thanks for making me hungry for an omelette with Texas Pete!! I can never have enough eggs! Awesome. I love course #2, yummy! All this food looks great and this was an amazing post you did! Niki- I want to come visit you and go to some of these festivities! I LOVE competitions like this! I would have loved Course 5!! I'm not sure I could ever decide which one to pick. Everything is sheer perfection.